Over the years, I came up with a story for a film in that universe that I wanted to make. And then when I talked to her about her experience making those films and what she thought about Ripley and everything else, it informed and changed the film I wanted to make into something different. It just sort of stuck with me. A year later, when post-production was winding down on ‘Chappie,’ I started fleshing out the idea for a film that would contain Sigourney. Fox never knew. I just worked on it when I could. Before I knew it, I had this really awesome film with a lot of artwork and a lot of backstory. And then I didn’t know whether I was going to make it or not. So I just kind of sat on it for a while. So Ripley is there, but what we didn’t know is if Weaver is actually on board or not. We still haven’t heard anything official on that front, but the way Blomkamp and Weaver, who also can’t do an interview without answering Alien questions, talk, it certainly sounds like she’s back. When she discusses the topic she kind of lights up and gets this warm, happy look. Check out this interview with Sky Movies, featuring both Weaver and Blomkamp, and try to come away thinking she’s not in. We kind of assumed that this would be the end. Weaver is 65-years-old (which seems insane), so her days as an action hero are winding down, but from this talk, it sounds more concrete. I’m sure in a few years the studios will try to reboot it in some inane fashion, but like I said earlier, it just isn’t an Alien movie without Ripley and Weaver. Does that mean he’s ignoring Alien 3 and Alien: Resurrection? Is this a revisionist timeline akin to what they’re going with Terminator: Genisys? If that’s the case, it could leave the door open for another question we’ve had since we first saw Blomkamp’s concept art. The pieces he revealed prominently featured Hicks, played by Michael Biehn in Aliens. 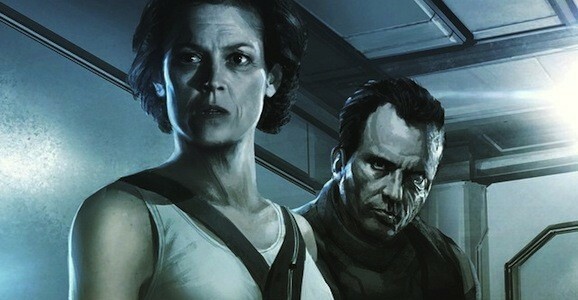 Hicks dies in Alien 3, but if that never takes place, it’s possible he could return. In that case, you can imagine that Newt may also play into the story. None of this really tells us anything, raising more questions than it answers, but it gives you an idea of the thought process going into this movie, and there is certainly a lot to think about. 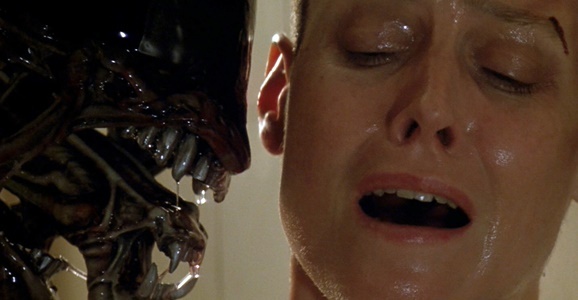 While I actually enjoyed Alien 3, I am perfectly fine with them completely ignoring it an it’s godawful sequel. If they do this Ill most certainly watch it. I had hoped that there would be an Aliens:Earth War based off of the comics would be made into a movie. If 3 never happened I’m perfectly good with that. There were some Alien novels written by Steve Perry back in the 90s. Any of those would be good for adaption. Due to all the background shenanigans during the production of Alien III, it turned out to be a love/hate mess and it’s a wonder that it got made. Number IV was meh. It was a decent sci-fi movie, not a particularity good Alien movie though.